Meditation is not just an exercise of concentration on anything and everything under the sun. It is also not contemplating on any thought, object or desire to achieve the same. One can visualise on his objects of desire to achieve it, but that will just be by product of meditation. The goals of meditation are beyond all worldly objects and is transcendental . Meditation is the highest form of spiritual concentration, when it is consciously channelised and focussed on one single spiritual object within oneself. When this concentration is not conscious is not meditation. Like when we watch a cricket match live or a movie. Although all our full concentration is on match or movie which is uninterrupted also, but that cannot termed as meditation. Lets understand this minute difference between concentrating on a match, and actually doing meditation. When we watch a match or a movie, we are actually allowing our mind to lead us through the complete match or the movie. 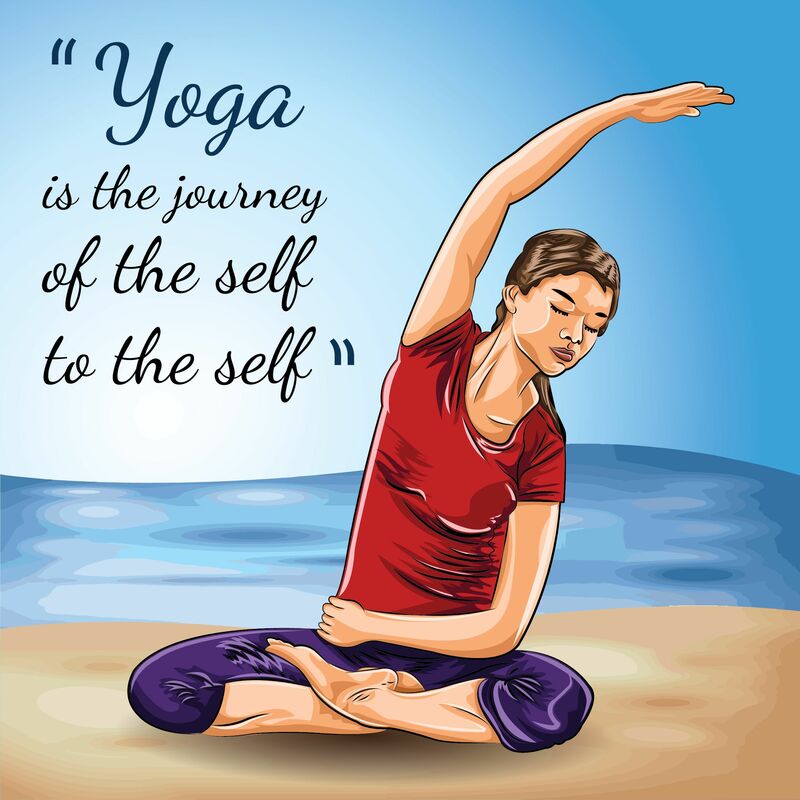 As in this case Mind is acting as per the deep impressions of our habit, addictions and inclinations made over the years by us and we are in total control of our mind. We are going wherever it is taking us, which is really not a hard thing to do. It is very easy to surrender before your temptations and allow your mind to go after your temptations. There are many undercurrents of such unavoidable thoughts which run in our subconscious mind and we unconsciously concentrate on these thoughts. Such haphazard concentration creates endless whirlpools in the mind and body depleting our energy levels. 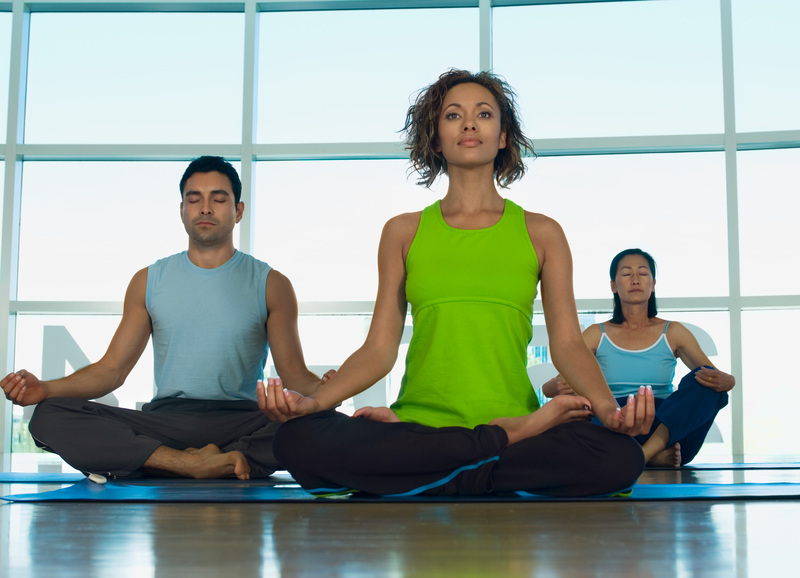 Meditation restores this energy balance and counteracts the effects of wrong concentration. Patanjali describes this state of meditation as the continuous flow of the whole mind toward the object of concentration : it is like the unbroken flow of oil poured from one vessel into another. This is actually a state where the meditator becomes one with the object of meditation. This process of merging is a gradual process, where ultimately we try to reach the state of samadhi that is the union with the self. We ultimately realise our true self and experience the Supreme Divine also called ‘Brahman’. Spiritual progress of an aspirant can be measured by his intensity of spontaneous transcendence. In the stages of his spiritual advancement a stage comes when he transcends the idea of time and space and is no more aware of the surrounding environment (during the meditation). At later stages of his meditation he even transcend his own self consciousness and all thoughts about himself. In such a state of meditation the aspirant witness the Supreme Divine experience which is the true light of his own self – pure and blissful. 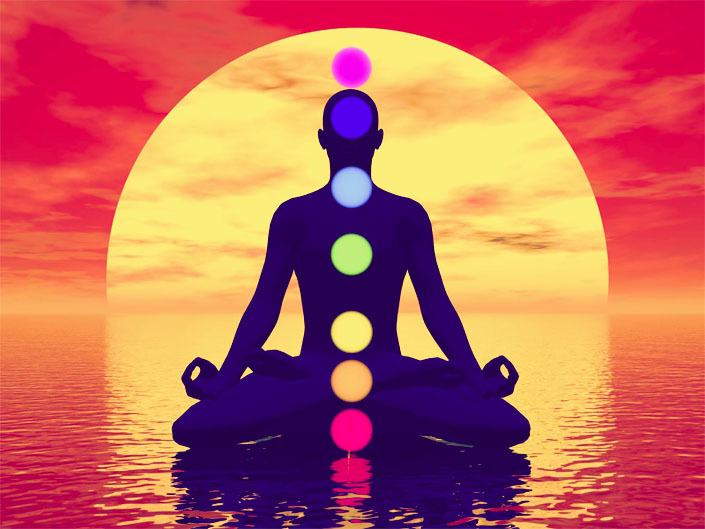 The process of meditation awakens our Kundalini Shakti and allows it to rise upwards through all these seven chakras. At Sahasrara Chakra, the aspirant realises the Supreme Divine (Brahman) and experience the bliss free from all the bondages of the the worldly desires. These five koshas (Body Sheaths) also called physical body, the vital force, the mind, the intellect and the sheaths of bliss may also be compared to five different lampshades that obscure the effulgent Self within. At the time of ultimate realisation, the light of truth shines through all the five body sheaths illuminating the Self with Divine Consciousness. Human body generally lives in one of the three states of consciousness – Wakings State (Jagrat Avastha), Dreaming State (Swapna Avastha) and Deep Sleep State (Sushupta Avastha). Turiya is even higher state of consciousness ie Super Consciousness apart from these three state of body. It happens at the time of Divine Communion. Turiya in fact can be considered as fourth state of meditation which is the state of Self.